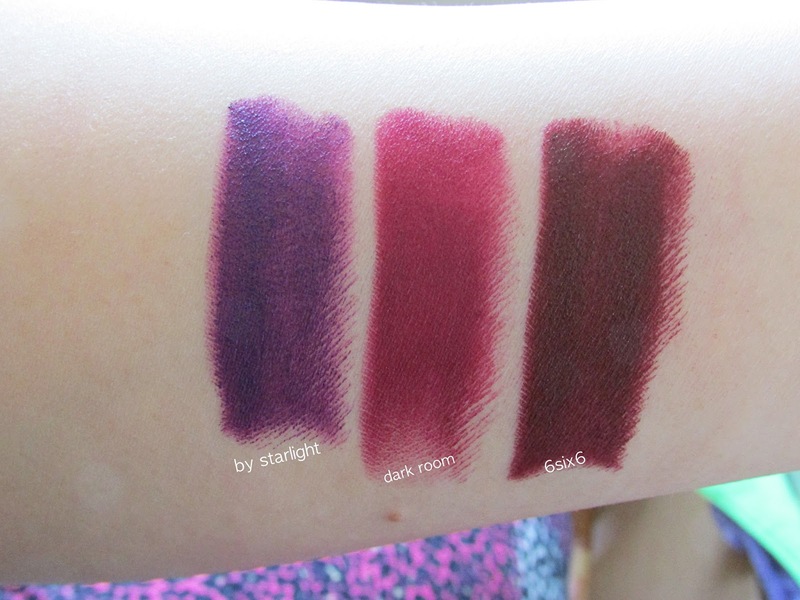 I was stoked to write this post and share it with you guys, because I've purchased these lipsticks for over a month now! I couldn't post about it because I purchased one of these lipsticks for my cousin for Christmas as well. Since I love surprising people and I didn't want to spoil it and give her an idea of what I could of gotten her, I decided to wait until after Christmas to post this! 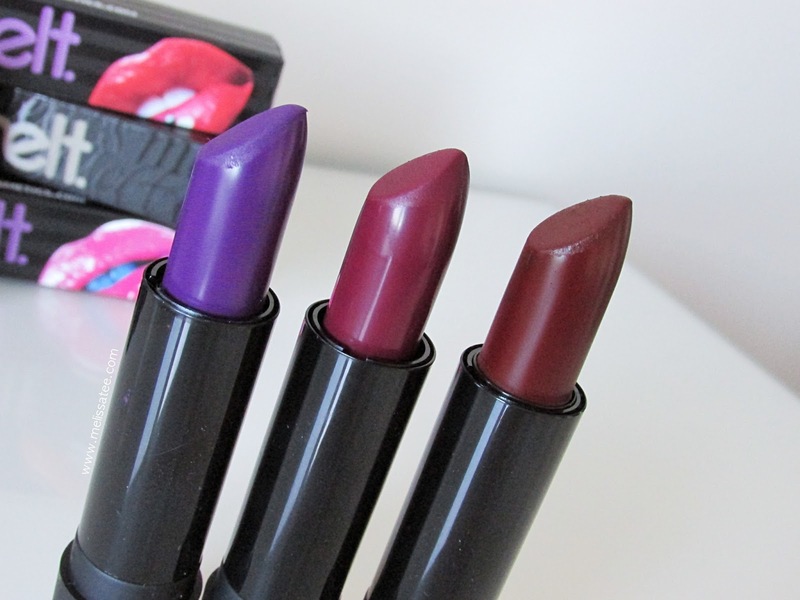 Today I will be reviewing 3 Melt Cosmetics lipsticks. I originally found out about Melt Cosmetics through Instagram and a few of the beauty gurus I followed on there. Melt Cosmetics has found its way into the hearts of many make-up lovers with their bold, "radioactive", ultra matte lip shades. What pushed me to purchase a few of these lippies was when they introduced Dark Room. I told myself I needed that shade, and I went on my way to purchase it. Let's take a closer look at the lipsticks I purchased! I love this picture. It just looks so unique and colourful! 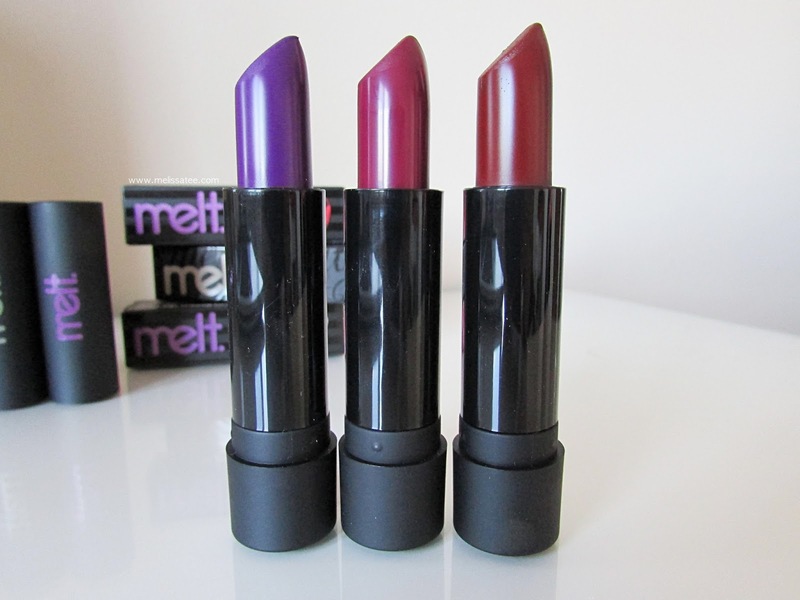 The one thing I disliked about Melt Cosmetics is that the tubes that the lipstick are in feel kind of cheap. I think they're maybe aluminum? I don't know, they just feel cheap and they're not very heavy. I mean, for $19 each, the same price as MAC lipsticks, you'd think the packaging would be better. I guess I dislike it because it feels so light and a bit cheap. Anyhow, its what's inside that counts right? With every order you make, you also received a button and a sticker! How cute! I feel like I just had deja vu. I've been on the hunt for the perfect purple for the longest time since getting MAC Heroine. As much as I love Heroine (the lipstick duh), I felt like it wasn't a deep enough purple for me. I think this is it guys. 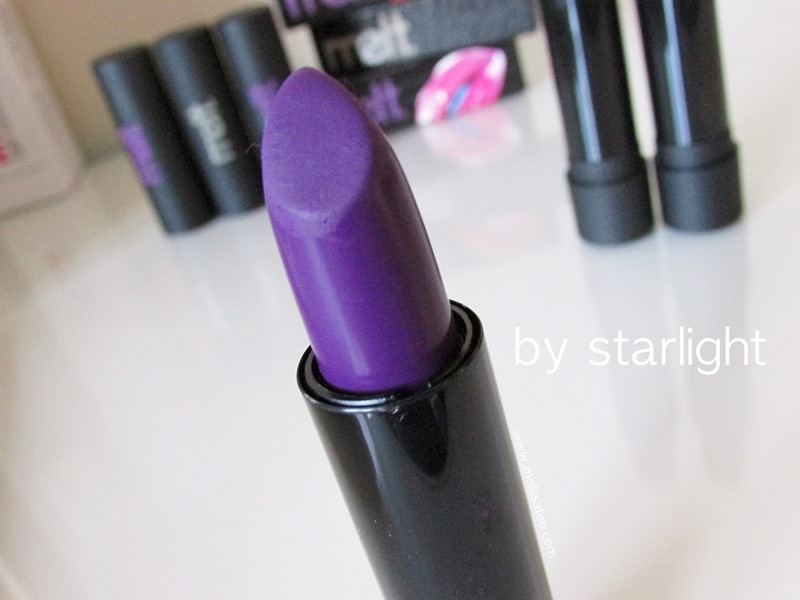 By Starlight is the most rich, deep purple lipstick I've ever seen/owned. 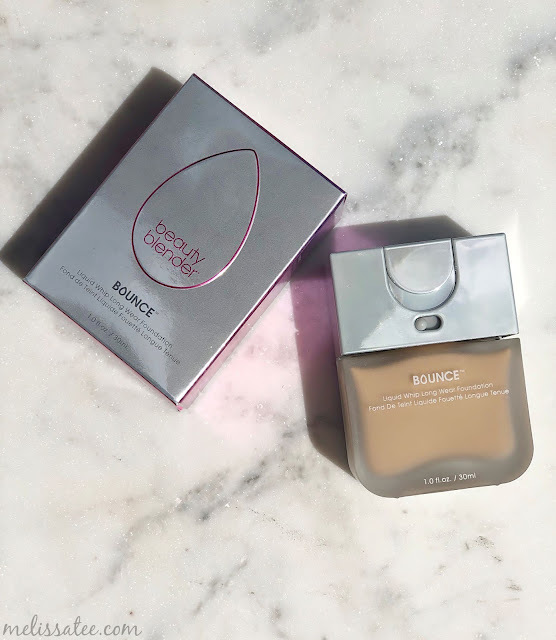 Even better that I purchased the newer formula, which states it is more "electric" and the pigment has been kicked up a notch! When I saw pictures of this lipstick, I knew that I needed it. 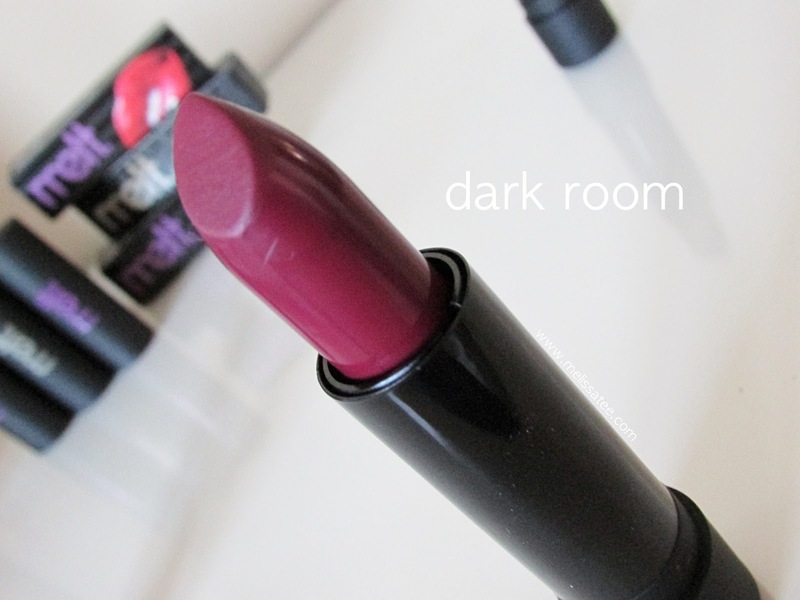 Dark room is like a burgundy colour, but has the most beautiful undertone of a berry pink/red. I don't even know how to explain it. It's the prettiest burgundy red/pink/purple I've ever seen. On their website, they describe it as beet coloured crushed velvet curtains. Whatever that means. The colour of red beets is the best description in my opinion. If you ever juiced beets or seen what the colour of the juice is, this is EXACTLY what it looks like. I am freaking obsessed with this shade. I'm the most unobservant person in the world for two reasons. The first reason is that I didn't even realize that "6six6" was freaking "666" LOL. But anyway, this is a very brown/red almost like a blood red. This lipsticks live up to the "ultra matte" statement. Surprisingly not that drying on the lips, these lipsticks tug A LOT. If you can't tell from the swatches, it looks a bit patchy because I dragged it against my skin a few times to get a nice swatch. 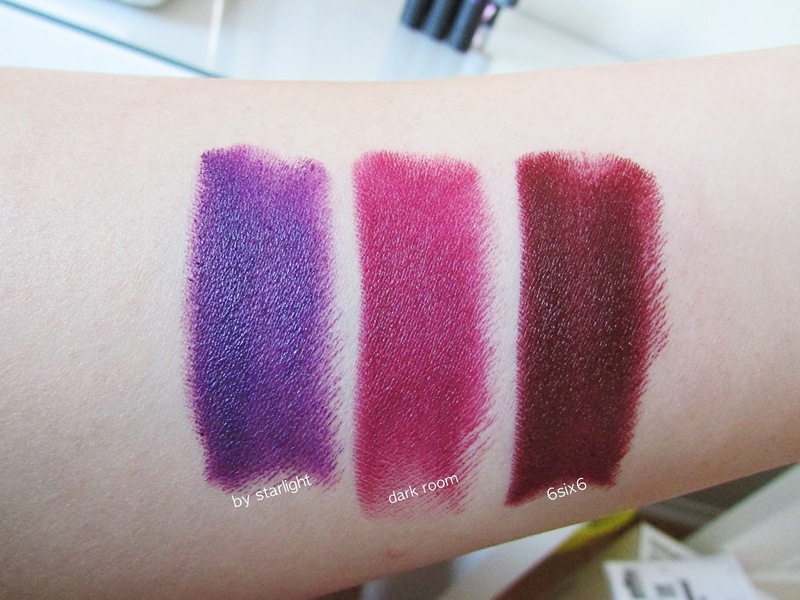 The matte texture is very similar to the Kat Von D Studded Kiss lipsticks. Did I mention that I am very unobservant? Also, was it just me or did you have a bit of deja vu reading this blog post? Second reason I am clearly unobservant. 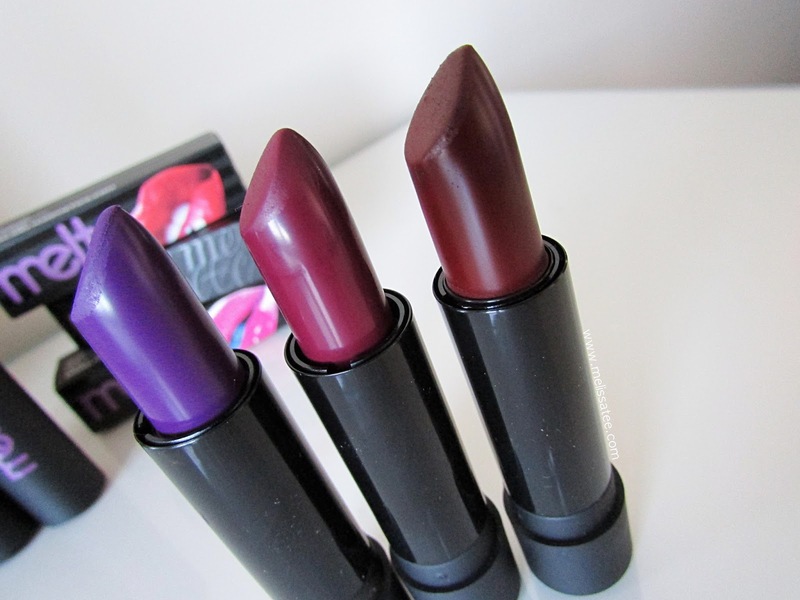 I purchased 3 lipsticks that look almost identical to these 3 Melt lipsticks. Okay, maybe not identical, but the colour combo is basically the exact same! 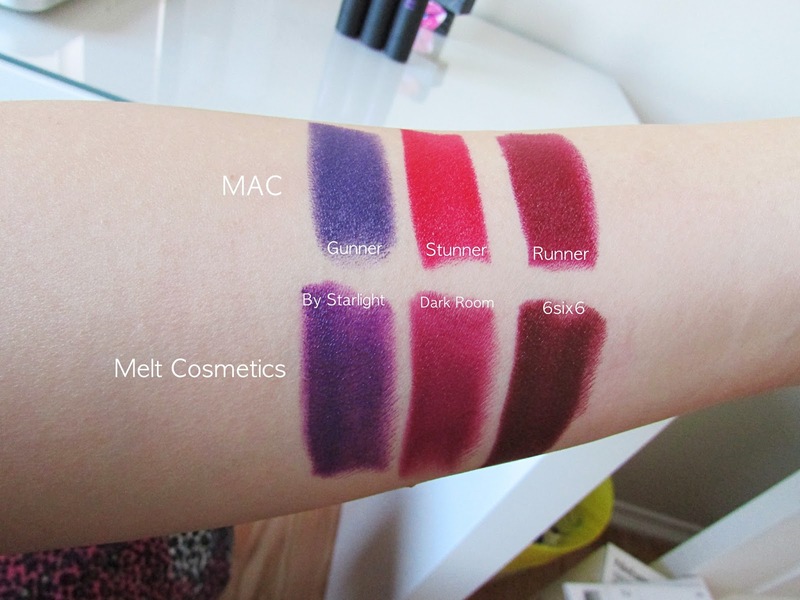 I purchased the Melt Cosmetics lipsticks way before I ordered the MAC ones, and I cannot believe I didn't realize how similar the shades were. Do you know when I realized? When I photographed both sets of lipsticks on the same day -_-. In my opinion, I prefer the shades of Melt Cosmetics more, but I love the formula of MAC hands down. Anyways, I'm not that bothered by the fact I picked up a bunch of lipsticks that look almost the same. They're still way different in formula and undertones! What a coincidence out of the huge variety of Melt Cosmetic lipsticks, that I would end up picking the 3 that would match up with the Nasty Gal Collection lipsticks. 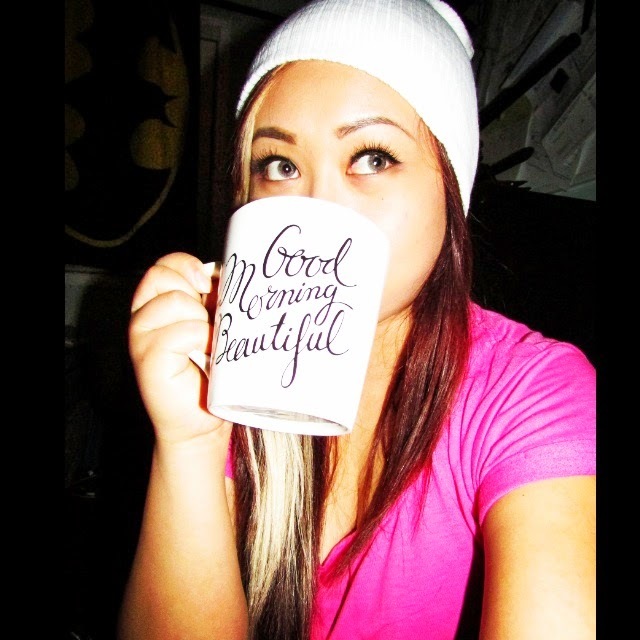 If you want to see the MAC Nasty Gal Collection post, you can just click here. 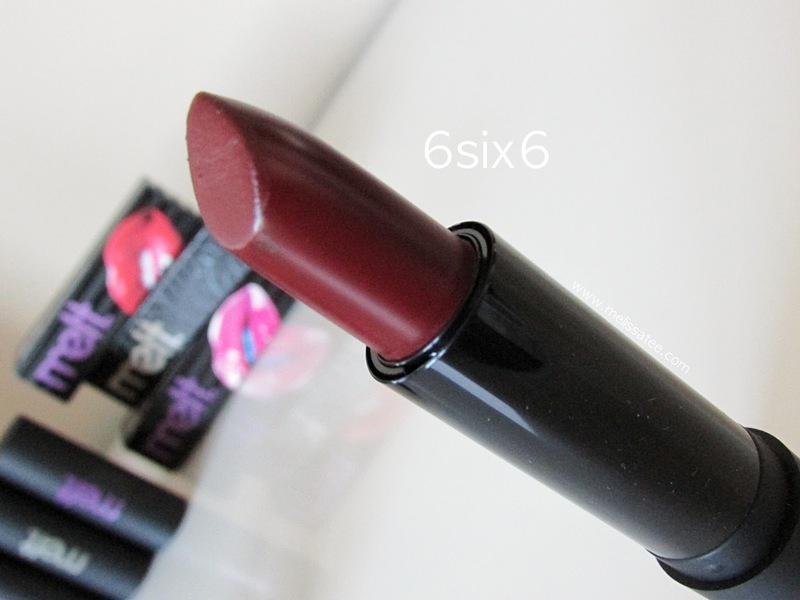 What shade of the 6 do you see yourself wearing?